*Price in double room / low season. Price depending on your preferred time of year and type of accommodation Limited Availability - Book now. Your personal agent will get back to you within 24 business hours to discuss your needs. Awesome mainland landscapes, amazing must-see sightseeing and cosmopolitan seaside life. A special offer package handpicked just for you. On arrival you will be met by our assistant and transferred to your hotel, Athens Gate, by mini bus or by taxi. Have the rest of the day to relax and start your acquaintance with the city at your own pace. 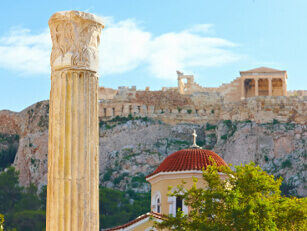 Start your day with a morning sightseeing tour of Athens' most famous sights including a visit to the spectacular Acropolis and the Acropolis Museum. 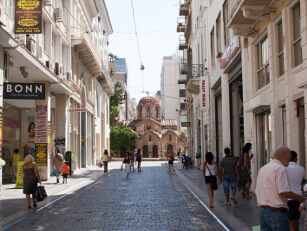 Spend the afternoon discovering a city that combines the cosmopolitan air of the capital of Greece along with the historic and cultural background of the city that gave birth to democracy. 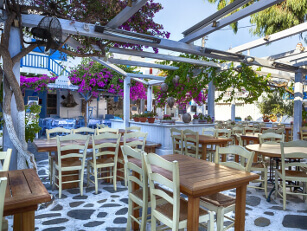 In the morning you will be transferred from your hotel to the port by mini bus or by taxi to embark on your ship and heave your anchors for the exceptional island of Mykonos. 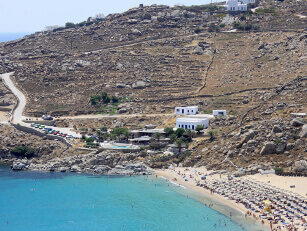 On arrival, you will be transferred to your Mykonos hotel for a 3 nights stay. Laze in the sunshine on one of the island's endless sandy beaches and enjoy your exotic cocktails at the numerous beach bars that you can find. 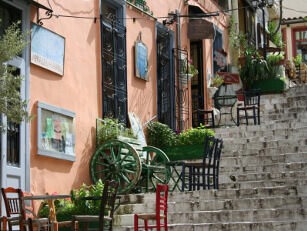 Explore the narrow streets of the lovely town and take full advantage of the bustling nightlife. Another day at leisure to discover the traditional architecture that has been carefully preserved and take memorable pictures among old stone windmills. 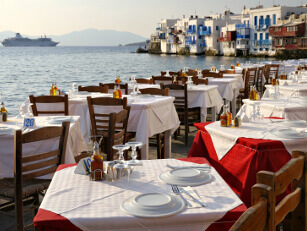 Enjoy traditional Greek flavors at top quality restaurants and visit picturesque churches and museums. 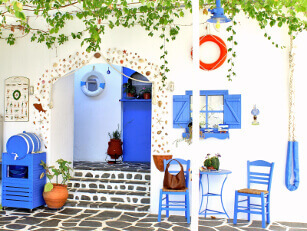 You will be transferred from your hotel to the port to embark on the ferry to Santorini. 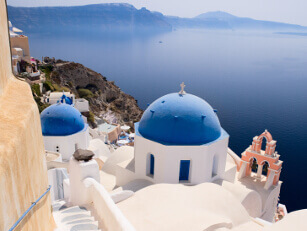 Enjoy the unique experience of slowly approaching the volcanic cliffs of the crescent-shaped island of Santorini that came out of the remnants of a volcanic eruption and steals your heart at first glance. Take unique pictures while you get ready to step on what is believed to be the lost Atlantis. On arrival you will be transferred to your hotel in Fira town for your 3 nights stay. Spend the rest of the day walking around the island and maybe experience your first world-wide famous Santorini sunset. 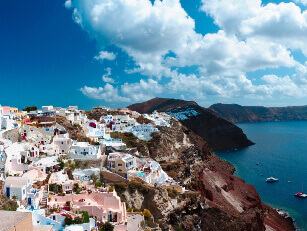 Enjoy the breathtaking views, the candy-colored houses perched on volcanic cliffs, sizzling beaches with white, red or black volcanic pebbles and dazzling sunsets of the island tinted with all the hues of a colorist’s palette. Choose from a wide variety of activities such as visiting museums, churches, wineries, scuba diving, snorkeling or yachting as well as many unique shops and restaurants. Stroll through picturesque colorful alleys, taste some of the world’s most fine wines produced locally and enjoy an intense nightlife backdropped by some of the best views in the world. In the morning you will be transferred from your hotel to the port to embark on the ferry to Piraeus. 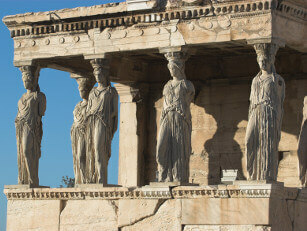 On arrival you will be transferred to your Athens hotel by mini bus or by taxi. Take full advantage of the last day in the historic city. Enjoy the cosmopolitan center of Athens, the numerous shopping stores for all tastes, the Greek wine and culinary flavors. You will be met by our assistant at your Athens hotel and transferred to the airport by mini bus or by taxi for your flight back home. Need to tweak your experience? Feel free to suggest any changes you may require to your exclusive itinerary and build your own, customized "Best Price - Most Wanted Places" vacation. Your personal agent will be more than happy to assist you in creating your ideal summer break around your own desires and needs. I chose Fantasy Travel based on their great reviews. 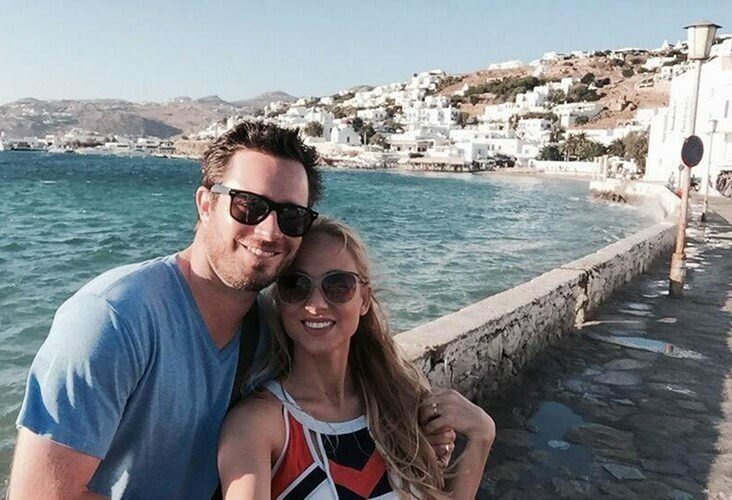 I knew just from my correspondence via email with Litsa that I had made the right choice in going with Fantasy Travel, but my husband and I were blown away with how seamless and luxurious our honeymoon turned out! 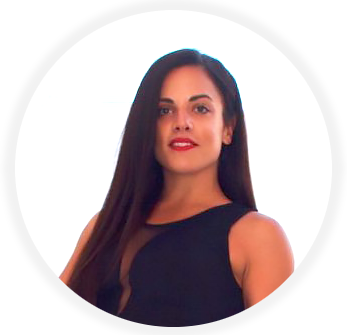 I would never had been able to plan our perfect honeymoon without Litsa. Thank you Paula and Maria Cristina from Fantasy Travel for helping me plan the most pleasant, fun, problem free holiday ever! 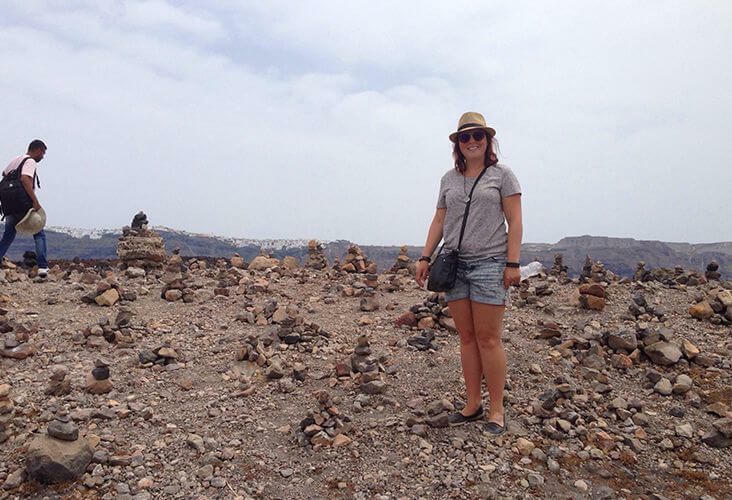 My daughter and I visited Athens, Naxos, Paros, Milos and Santorini. There were no hiccups along the way it was a most enjoyable holiday from start to finish! 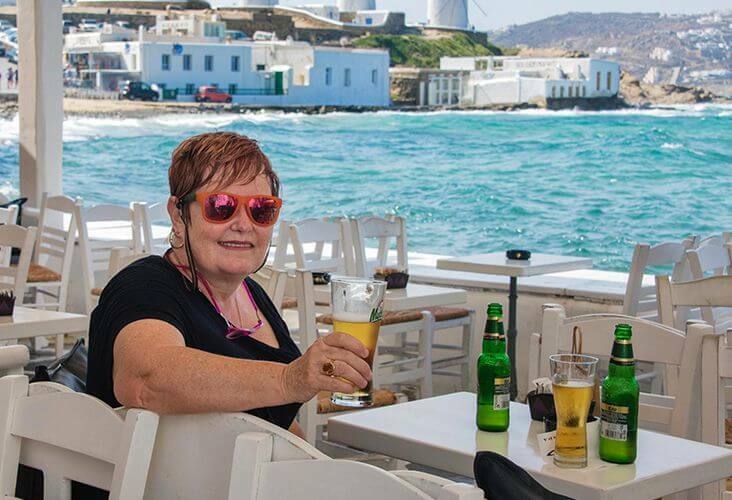 We booked our Greek holiday through Fantasy Travel after seeing an online recommendation - this was the best thing we did for our holiday as all the bookings were done extremely well. There was always someone to meet us at the Island Ferry terminal or airport and it was a great weight off our shoulders to have the ferry travel booked for us. I've had an awesome time in Greece! It was my first time to Greece for honeymoon and my aunt introduced me to Fantasy Travel! 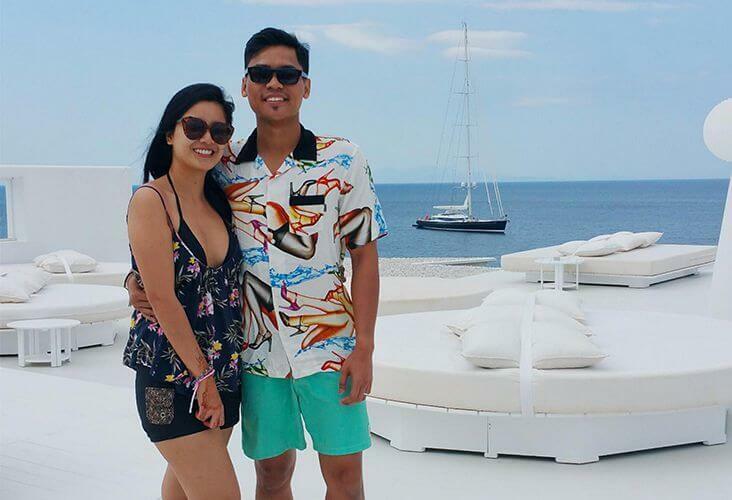 We went to Athens, Mykonos & Santorini. Accommodation was all good! Friendly staff, good food, nice view! We have been telling about you guys to our family & friends too! and offer an exclusive vacation plan at the lowest possible price. group Perfect for any type of traveler, including couples of all ages and families with children. Let’s talk about how we can turn this into your perfect summer break.